We all have days when we wake up feeling stuck. I do too. I wake up lacking the motivation to do nearly anything, let alone the important work that is often taxing and hard. So what do I do when that happens? I spent 10 minutes talking about a few tactics on a recent DMJ Podcast here. But one of the tactics I use is to push “good into my brain” first thing in the morning. I have a few “go to” places that provide me inspiration…and help to remind me to get after it. Here are a few I use…feel free to steal them! Seth Godin’s Blog: I don’t view Seth’s blog as “motivational” exactly. But it is a blog that shows up (every single day) and makes me think. I love that. And in making me think, it inspires me to be better. His blog is here. Gary Vaynerchuk’s Daily Vee: There is no way I watch every Daily Vee. Gary produces so much content, I don’t know how (if you are grinding too) you could consume it all. BUT, it seems like when I do, he says something that reminds me or inspires me. His Youtube channel is here. Casey Neistat’s Vlog: I love Casey’s shooting and editing style in his videos. So while many of them are not “inspirational” by nature, they do show me what I want to create. And Casey has a personality that is fun and charming too! Here is one of his latest videos…fun. Jeff Haden articles: Jeff is one of my favorite writers on the interwebs. Apparently I am not alone because he is one of the top read writers on Inc.com and Linkedin. He also recently wrote the book called Motivation Myth which I really enjoyed. As a matter of fact I featured it on a recent article and podcast about the books I recommend here. Grant Cardone: Grant can be a little over the top for me. But when I need a boost or a kick in the pants, he can be rocket fuel. If you are aspirational in your goal setting, Cardone can help you think bigger. Here is his Youtube channel. John Lee Dumas: I have talked about being unreasonable before (here)…and JLD was definitely that. John Lee Dumas created Entrepreneur On Fire and interviewed a different entrepreneur on a podcast EVERY day. It’s impressive and he created a ton of valuable content. His website is here. So these are just a few of the voices I go to in order to get me going. There are countless others that include books, podcasts, blogs and more. 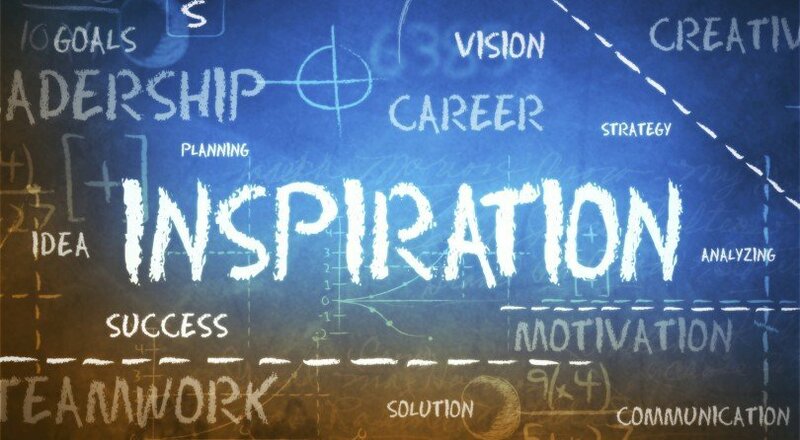 What are your sources of inspiration? Let me know! Oh..and if this blog is providing you some inspiration and value, subscribe to our VIP newsletter here! I have been on a quest to read 50 business and personal development books this year…and the process has been awesome. I have learned a ton (and you might expect) and it has inspired me to use my time wiser, try new things and launch new projects. If you want the complete list of my 2015 books (so far) you can check that out here. But many of my friends have asked me to narrow this list. “If you only had time to read one book, which one would it be?” It’s a fair question, but I thought I might narrow the list differently. So I decided to look through the list and narrow them based on subject matter, so you might be able to select that way. Here goes! Entrepreneurial FinanceProfit First was one of the most impactful books I read all year. If you have a Master’s in economics, this might seem rudimentary. But if you are like me (and most entrepreneurs I know) this represents a new way of thinking that makes more sense to me. We changed the way we do finance in our company based on this book. I could not recommend it more! Business Model ChangeThe Automatic Customer was another thought provoking book for me. It made me think of ways I might create new revenue streams in my own business…and what kind of businesses I might look at next. Mainly, it got me thinking. I love that. Social Media MasteryThe Art of Social Media has a great mixture of basics and advanced techniques that are applicable right away. You get a dose of philosophy but a big helping of tactics in this easy read. The Art of Hustle10X Rule is the ultimate kick in the pants type of book. If you are not creating the kind of success in your life that you want, Grant tells you it’s because you are not taking enough action. I recommend to listen to this one while running, driving, etc. and you will find yourself wanting to work harder. Content MarketingIf you want to be a Content Marketing Jedi, then you need to read Content Inc. I really like the way Joe Pulizzi explains it…and lets you know the end game. He also does a great job of giving you success case studies and reminds you this is a long game process. Sales Process and DesignThe Sales Acceleration Formula is a great reminder that we need to think about sales differently. Mark Roberge designed a process driven sales strategy with Hubspot that made me think differently. Good stuff. I will need to read this one again! Delivering Marketing JoyYes…that is a category! I would be remise if I didn’t put my book on the list, right? If you want to learn how to do Promo right, this is a good one...but consider my bias. 🙂 As you can see, I read a lot of other books too. But hopefully this narrows the field down a bit for you. Let me know if you have other books you know I should read! And that is how we do it. Want to keep up all the time? Make sure to join our VIP List! Our VIP’s get an email with the latest content…and other special offers as well. Join here.